directly affect our educational opportunities are laid off our organizations are shortchanged. As Bruininks enjoys his free home courtesy of the University of Minnesota students are forced to work more to afford housing and textbooks. 1) Chop from the Top! We want the university administrators and other highly paid executives at our university to take a cut to their six-figure annual compensations before making more cuts to faculty and staff. Currently, President Bruininks receives a $455,000 salary, but with bonuses and benefits, he makes an annual compensation package upwards of $750,000 per year. President Bruininks is within the top ten highest paid public university presidents, and all Bruininks has done is taken a pay freeze. Workers at our university have fought for pay raises and all they have received is a mere 2.5%. When compared to the rate of inflation, staff have actually taken a pay cut. This is an insult! The president has prompted hundreds of layoffs to workers and in the 09-10 school year, 1200 more jobs will be eliminated. Likewise, Bruininks has ordered a budget reduction of over 2% across all departments regardless of already felt funding constraints following the previous 5-8% reduction. We demand to know what is being cut from these departments, who is making up for the services these jobs provide students with, where this extra revenue is going, and who is making these decisions. In addition, despite annual tuition increases, students are provided little information as to how our tuition dollars are used. We demand to know precisely how our tuition dollars are being used, including all investments made by the university. We demand that all university budgetary and policy decisions be accessible to the university community as well as the public at large. Currently, university budget and policy decisions are made almost entirely without student input. The student representatives to the Board of Regents have no voting rights. The student Regent is no longer a student. We have the right to a voice in the decisions being made at the university that directly affect us. 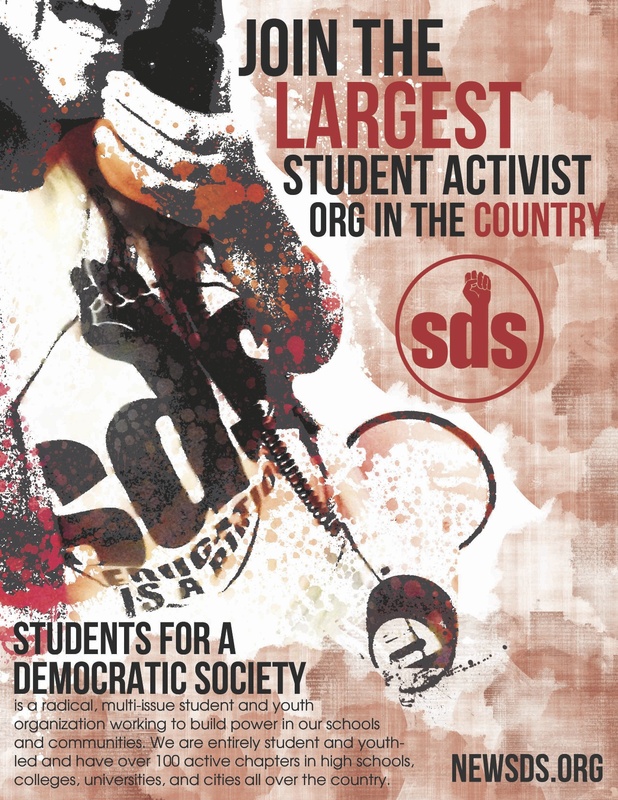 We demand that students have democratically elected peer representatives with voting rights on policy and budget decisions. For the first time in history, the university is receiving more funding from tuition than they are from the state. Student tuition has doubled in the last decade, and it is only becoming worse. The university wants to become a top-three research university, but is leaving its students with an unforgivable amount of debt in the context of an economic recession. The University of Minnesota has become less accessible to the poor and working class students of Minnesota, and has fallen from its foundation as a land grant institution. We demand a freeze to tuition and fees and increased money for need-based scholarships. Our urban school must reflect the needs of the urban community. Contingent to tuition rising, and staff being laid off, faculty, graduate students, and undergrads are having to deal with larger class sizes. Not only does this create overwhelming work for professors and TA’s, it also is not keeping the interests of students in mind. Smaller classes are good for the university community as a whole! We demand free and open channels of discussion and debate on campus. The university community should have direct ownership over how the University of Minnesota is governed. In the last three decades the university has fomented ties with corporate interests. We have seen our university move toward a business model that is capital-driven rather than community driven. Students, staff, and faculty have had little to no say in these changes, however we demand a university that operates democratically giving the university community as a whole a participatory role. Likewise, students, staff, and faculty alike should have the right to organize unions and other associations at the university without threat or punishment by the university. The university and its administrators should not influence or otherwise interfere with collaboration, organization, or the exchange of information between students, staff, and faculty on issues affecting the university community.